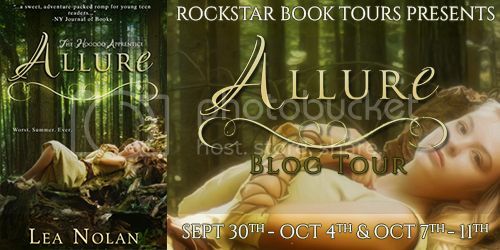 Welcome to the Allure blog tour hosted by Rock Star Book Tours! Thanks so much for having me, Brooke! It’s a great pleasure to be here. Today, I get to welcome Lea to my blog for an interview! So excited to have her here! Welcome Lena! I didn’t plan to be a fiction writer. In fact, after a horrible experience in a creative writing class in college, I truly believed I didn’t have the talent to attempt writing fiction again. Here’s the thumbnail version of what happened: a truly obnoxious, arrogant fellow student critiqued my short story by tossing it across the classroom table and declaring, “What can I say? It’s trite.” Though my professor tried to rein him in and admonish his beastly behavior, the comment sliced me deep and seriously rocked my confidence. After finishing that class, I didn’t attempt to write another piece of fiction for nineteen years. In the meantime, I finished my undergraduate degree and got a masters and had a very successful career as a health policy analyst which meant I got to write wrote hundreds of policy papers, publications, and articles that tens of people read! So, even though I wasn’t writing fun stories about curses and magic, I still learned the mechanics of writing clear prose. Right now it takes me about four months to write a book that’s about 100,000 words (or around 325 pages). I’d like to get faster, though because my goal is to write three books a year. But when I look back and compare it to my first book, which took me a total of two years to complete and revise, I feel like I’m a speed demon. Theme is very important to me because it helps establish what the book is really about, underneath the characters and the plot. I try to establish as many themes as possible before I even start writing so that I can keep them in mind as I build the story. For example, in both Allure and Conjure, Emma Guthrie races to learn hoodoo magic to undo the curses that threaten her twin brother and her boyfriend, Cooper Beaumont. That’s the surface plot, the obvious story that plays out in the book, but the underlying themes add texture and depth and make it mean so much more. For example, in both these books there are issues of girl power and women teaching/helping women; as well as women working against other women and its destructive consequences; there are also issues of good versus evil; sacrifice; the corroding effects of revenge; and facing the consequences of one’s actions. Sometimes themes are obvious from the get-go, but other times a theme doesn’t emerge until after the book is finished and you have some distance from it. At a minimum I write on weekdays while my kids are at school, but my incredibly supportive husband has taken advantage of his flex time opportunities so I can write several evenings a week and occasional weekends when I’m facing a deadline. It’s an ongoing process and a continual effort because I’m frankly not very great at juggling everything. There’s always another chapter to write or revise, marketing to be planned, emails to be answered, etc. And my kids and husband want and need me as much as I want and need to be there for them. So I’m often very torn. But I’m working hard and getting better at trying to find balance. Hopefully I’ll find the sweet spot that makes everyone happy. Every great story contains essential story beats -- elements that readers expect to happen to ensure the book is emotionally satisfying. There are great books that help identify what these beats are, specifically Save the Cat by Blake Snyder and Screenwriters Tricks for Authors (and Screenwriters!) by Alexandra Sokoloff. I use both of these books when I’m plotting a story to make sure I cover all the bases – the known world, inciting incident, big defeat, dark moment, intermediate and final climax, etc. Of course, no matter what scene elements you include, the book still has to have great writing, compelling characters, an interesting plot, and emotional depth to grab readers and compel them to keep turning the pages. The first time around it was finishing the book in the first place, and then revising it to form it into something that was both legible and made sense. All told, I rewrote and restructured that book six times before it was complete, which is why it took me two full years! Now, I challenge myself to make each book better, deeper, more meaningful. I’ve written four complete books so far. 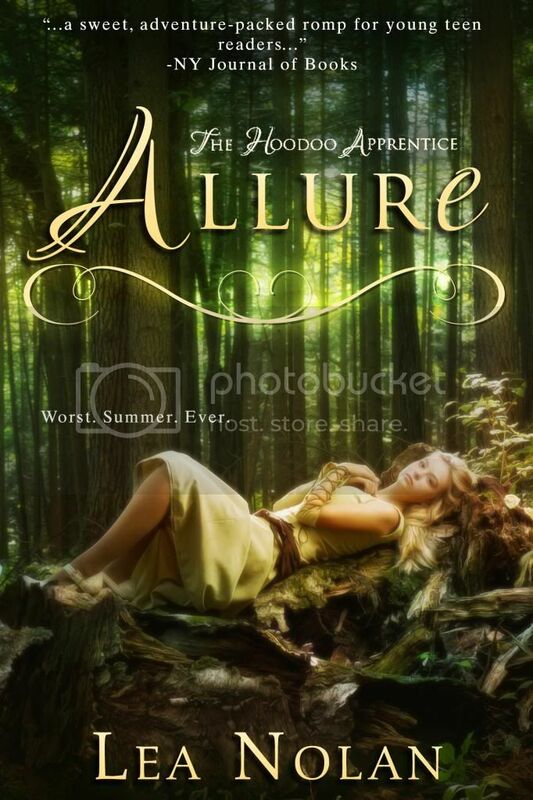 The first still sits on my hard drive unpublished, and then there’s the two books in the Hoodoo Apprentice series, Conjure and Allure, and a contemporary category romance that’ll hopefully come out in early 2014 with Entangled Publishing. It’s impossible to pick a favorite because I love them all; they all taught me something unique about writing and the characters’ emotional journey. I love all my characters but right now, I love writing Emma Guthrie, the heroine of the Hoodoo Apprentice books. She’s smart, determined, and has a strength of character that I greatly admire. She’s courageous and risks her life for those she loves. I’d like to think I’d do that too, but I’m not sure I’m as brave as she is. Of course, I also love Emma’s mentor, Miss Delia, the toughest, wisest, and most powerful ninety-seven-year-old hoodoo root worker you’ll ever encounter. Most days I write at a café with my best friend and fellow writer, Laura Kaye. The company is great, the food is tasty, and the staff have become our friends. Aside from being a mom and wife, not too much more. I need to get back into yoga, which I used to be devoted to, and I’d love to cram in some more knitting, sewing and jewelry making time. I love to watch movies and great television shows, too, which I often justify by claiming I’m studying story structure. Currently my husband and I are binge watching Sons of Anarchy on Netflix and I am totally addicted! First and foremost – write! Don’t let anyone dissuade you or make you feel like you shouldn’t or don’t have the talent. I wasted nineteen years because I let that jerk in my creative writing class get into my head. Don’t do that to yourself. Second, read as much as you can of the genre you want to write. Learn the conventions and expectations, and what’s been done before. Also, study the books you love to learn what you like about them: the point of view, structure, voice, how chapters begin and end, how to shape story arcs, etc. Third, join a writer’s group like Romance Writers of America (RWA) and it’s local and online special interest chapters, or the Society for Children’s Book Writers and Illustrators (SCWBI), or Savvy Authors. These provide authors with opportunities to network and find critique partners, plus great resources on industry information, and craft classes. Yes! Absolutely, I’ve got a small network of trusted writer friends who help me brainstorm when I’ve boxed myself into a corner or need help smoothing over a plot problem. They also tear my manuscripts apart and tell me what I’ve done right and what’s not working. In turn, I do the same for them because we’re all in this together and what to help make our work shine. I’m currently working on a couple proposals for new books which I’m super excited about and can’t wait to develop. One is a mythology-based YA series, and the second is a standalone contemporary story. I’m also thinking about revisiting a middle grade story I abandoned last year, but won’t let me go. Thanks so much for having me! This was a lot of fun! Thanks for being here, Lea! It was great hearing what you had to say! Lea Nolan writes the kinds of stories she sought as a teen—smart paranormals with bright heroines, crazy-hot heroes, diabolical plot twists, plus a dose of magic, a draft of romance, and a sprinkle of history. She holds degrees in history and women’s studies concentrating in public policy and has spent nearly twenty years as a health policy analyst and researcher. She lives in Maryland with her heroically supportive husband and three clever children. You can learn more about Lea on her website, on Facebook, Twitter and on Goodreads. 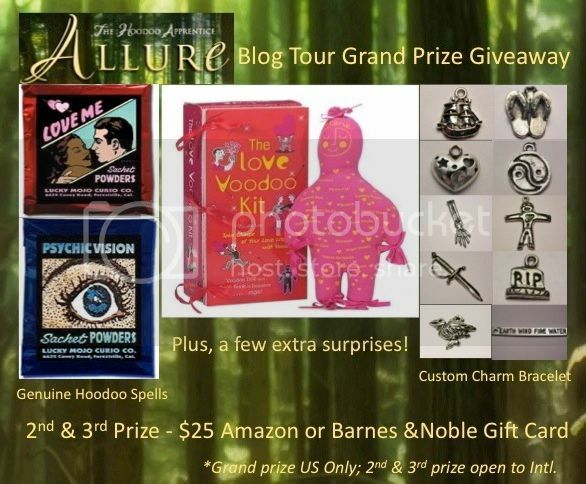 2nd and 3rd prizes of $25 Amazon or Barnes & Noble gift cards International. It does sound great and the cover is just icing on the cake! Beautiful! Sounds awesome. I want to read it. Great interview. Love the synopsis.